This week, I received some great questions from a new coach who lives in a small town a little less than 100 miles away from the big city. They were struggling a bit coming up with a strategy for the area where they live and were wondering if it’s actually advantageous to go outside where they live or even venture into the big city. 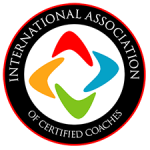 Rather than go through each question one by one in this blog, I’d like to answer the overall question: Can I be a successful coach if I live in a small town? So here are some insights that I think will be helpful for you and these insights are coming from the experience of coaching both in a very large city (San Diego is the 10th largest city in the U.S) and in a small town. You can maximize your influence/visibility in a smaller geographic area. I started my coaching practice in a very large city. The challenge when I started was: where do I start? This place is huge and it takes 30 minutes to get everywhere! What I learned very quickly is that a sea of humanity doesn’t really do you any favors. You can simply be a nameless, faceless coach. So what I did in San Diego was find a portion of the community – a target market within a specific geographic area – to make my presence known. In the big city that meant finding a business club where I did all my meetings, attended social events, dined, etc. I wasn’t trying to get all of San Diego to know me, but because I created a footprint and said, “I’m going to focus on this area,” it allowed my reputation to grow and I emerged as the go-to coach for many people. In a smaller area, where the geographic area is much more defined, it’s really easy to join a Chamber of Commerce and know really every business owner. That means that when you engage or serve your network, your impact is magnified. Regardless if you’re in a big city or small city, you have to seek to invest in relationships. And, quite frankly, you can’t invest in 1000s of relationships. You have to choose and narrow down because there’s only one of you. You can only know so many people, and you can only be in one place at a time. You want to choose your spot and make an impact. Initially, I think smaller areas can simplify that for a new coach. Financially, everything is relative. You don’t make less money in a small town. I’m not sure why so many people think people are richer in a big city. Just because you might make more doesn’t mean you have more money in a bigger city. Let’s say you live in Abilene, Texas and you make $50,000 but decided to take a job making $75,000 in my city San Diego, California. You’re making $25,000 more right? Well, technically, yes. But, the harsh reality is the cost of living is so much higher in San Diego, you’d have needed to make $78,000 just to maintain your standard of living in Abilene. Where your cost of living is higher, you must charge a much higher rate as a means of living. Besides the cost of living, I’d also say the percentage of people who can afford your fees is roughly the same. Living in a bigger city doesn’t really create an advantage to the access of more wealthy people unless you’re simply hobnobbing where a bunch of them hang out. Honestly, you can do the exact same thing in a smaller area. As you can see, everything is relative. There’s not an advantage between the two. Big city people don’t know any more about coaching than small town people. I grew up in a small town of 6,000 people that had one traffic light. When I was finishing high school, FOX launched this TV show called Beverly Hills 90210. I remember being so fascinated with these teenagers who were all beautiful, drove fancy cars, had cool hair, and looked like they were in their 20’s (because in real life they were!). And here I was living in a little town in the south battling acne and driving a10-year-old Oldsmobile Cutlass Calais with a fading paint job. These days I talk to coaches from small towns literally all over the world – not just hometown USA – like Norway, Sweden, Germany, Spain, etc. Reality TV can make you think that everyone in California has a life coach. The truth of the matter is, almost no one I’ve ever met in California for the first time even knows what a coach is much less has ever worked with one. What I tell our Jumpstart coaches all the time is: you never sell coaching, you sell the result. Why? Because coaching isn’t tangible, it must be experienced. No matter what city you live in, you’ll find this is true, and you’ll be the one who’ll be educating your clients on coaching.